Dogs will be dogs, and most dogs will bark, whine and howl at times - it's only natural. Dogs vocalize to communicate with humans and to express themselves. Sometimes we want our dogs to bark in order to warn us about potential danger or protect us from harm. However, excessive dog barking can be considered a behavior problem. What is the solution? Well, your dog needs to understand when to bark and when to be quiet, and it's your job to teach this to her. Start working on problem barking as soon as you can. The longer you wait, the harder it gets to curb the behavior. It is a good idea to teach your dog the Speak/Quiet Commands. This may be easier said than done. However, with dedication and consistency, you can teach your dog to bark on command AND to be quiet. Responding to Other Dogs: This is probably a familiar scenario - one dog down the street starts barking, and one by one the rest of your block joins in. It's like a cacophonous rendition of Row Your Boat. 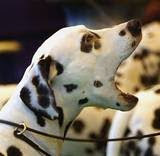 Once you determine the cause of your dog's excessive barking, you can begin to control the behavior. The best way to prevent excessive barking in the first place is to try and remove any potential sources of the behavior. You also want to be certain not to inadvertently encourage the barking. Finally, give her better things to do besides barking. Make sure your dog gets plenty of exercise so there is not as much pent-up energy to burn by barking. Never comfort, pet, hug or feed your dog when she is barking for attention or out of anxiety - that would be rewarding the behavior, thus encouraging it. Avoid punishments like shock collars. They are not only painful and unkind - many dogs will learn to test them and eventually work around them. Try to get her attention with a clap or whistle. Once she is quiet, redirect her attention to something productive and rewarding - like a toy or treat. After getting your dog's attention, practice basic commands, like sit and down in order to shift her focus. The sound of barking dogs in the neighborhood can quickly go from nuisance to nightmare - especially when you are trying to work or sleep. If you are comfortable with it, try politely approaching your neighbor to discuss the matter, or write a direct but civil letter. You may try gently suggesting a local dog trainer or behaviorist. Many people prefer to contact the neighborhood association or other group to act as a moderator. As a last resort, you may need to call the police - just keep in mind how this could be detrimental to your future relationship with said neighbors. On the other hand, you may not even care about that after a certain amount of sleep deprivation.